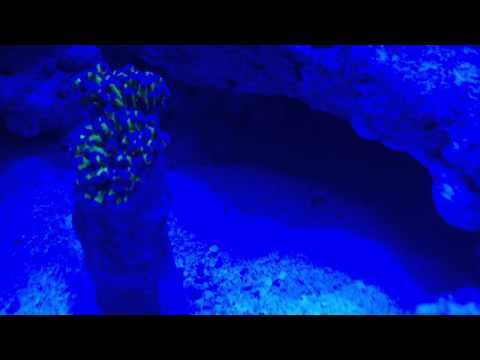 5 Green Fluorescent Mushroom Actinodiscus sp. 5 Dwarf Yellow Tip Hermit Crab Clibanarius sp. On average you perform a 14.2% water change every 33 days. As expected none of the fry made it past day two. It was fun though. I'm seeing about five Clarkii fry!! I was not setup for breeding, we'll see if nature will win. Feeding zooplankton to the fry (bottled, not live).